A woman who missed a day at "the most magical place on Earth" because she was sick had her unused ticket accepted - 22 years later. Chelsea Herline was aged four when she had to skip the final day of her family's 1994 trip to the Walt Disney World Resort theme park in Florida due to sickness. 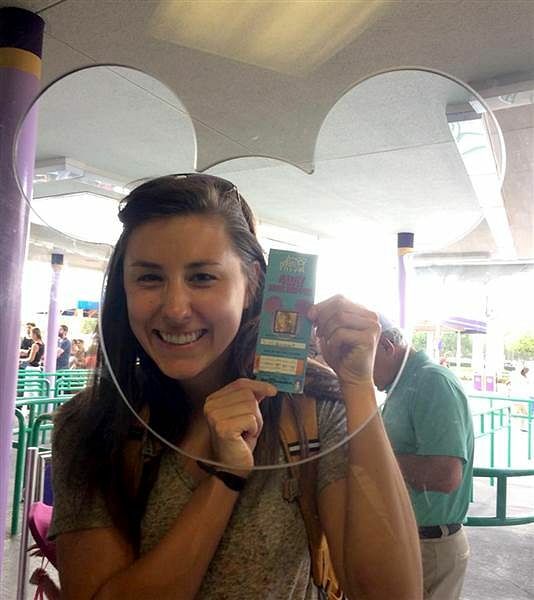 But more than two decades later, still in possession of the unused ticket, she was given another chance to relive the magic using that same piece of paper. The 26-year-old insights analyst, who lives in San Francisco, told local radio station FOX 35 that her father rediscovered the ticket while cleaning their basement. As the family had another trip to Florida booked, they decided to take the pass with them when they visited on April 23. "So I walked up, and there was a girl at the ticket counter, and I approached her with a big smile and I said 'hi, I have a really old ticket, will you let me in?'" she said. To Ms Herline's surprise, the woman agreed, exchanging the paper ticket for a modern electronic one. "This has been a really funny experience," Ms Herline said. "I was not expecting this at all and my parents are loving it that they were able to save the ticket so long, and it's getting this much attention. So, it's pretty awesome!"